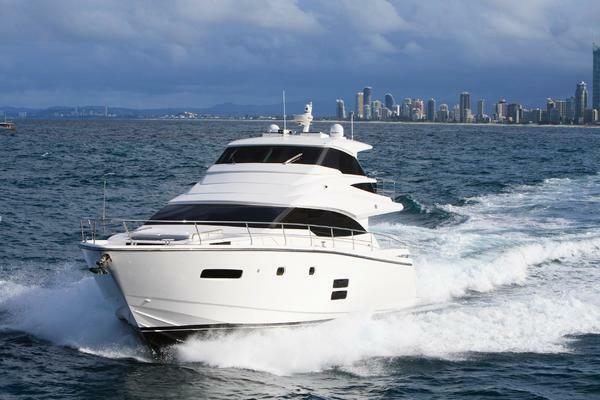 Preliminary Listing: June 2018 “MISS ELLIE” is a sleek 68’ Sunseeker Sport Yacht which features 3-Staterooms with 3 en-suite heads with a small Crew stateroom aft. The interior is finished in an elegant contemporary style, featuring Anigre wood done in a satin and high-gloss with custom wedge wood doors and cabinetry. There are large windows offering plenty of natural light, whether you are in the main Salon on the Master Stateroom. The main Salon is just aft of the lower Helm, which offers a full array of electronics and two custom comfortable helm chairs for extensive cruising. The main Salon just aft of the helm and offers a large U-shaped white leather sofa which seats six. Part of the helm is an L-shaped dinette, which is close enough to the main Salon, great for entertaining. The Aft Deck is across just out of the Salon sliding door with large U-shaped seating and lounging area just aft of the Aft Deck seating. The expansive Flybridge offers another helm, with two helm chairs to port and settee to starboard. Aft on the Flybridge is a large U-shaped seating area to starboard with a Hi-Lo table, which opens up to make a large Flybridge table. United Yacht Sales New Jersey would love to guide you through a personal showing of this 68' Sunseeker 68 Sport Yacht 2014. 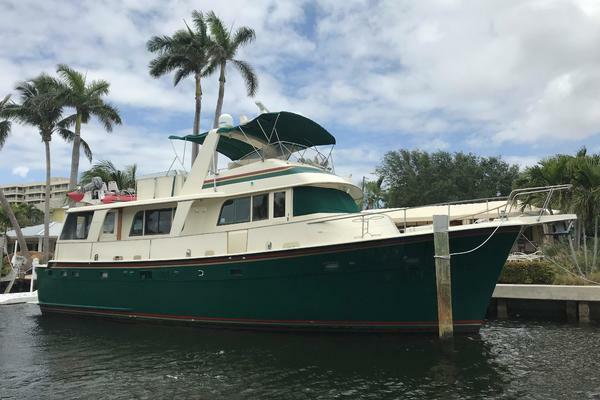 This yacht for sale is located in Fort Lauderdale, Florida and priced at $2,699,000. For a showing please contact us by filling out the form on this page and we will get back to you shortly! "Miss Ellie" is a registered name and does not convey. Exclusions are to include but are not limited to, all owner’s personal items. A detailed list of exclusions will be provided at the time of sale, upon written request.